Have you ever made a Voki that you wanted to share with specific people (like a teacher, a student, parent, or a friend)? Do you have their e-mail address? If you answered “yes” to both questions, you are in luck! 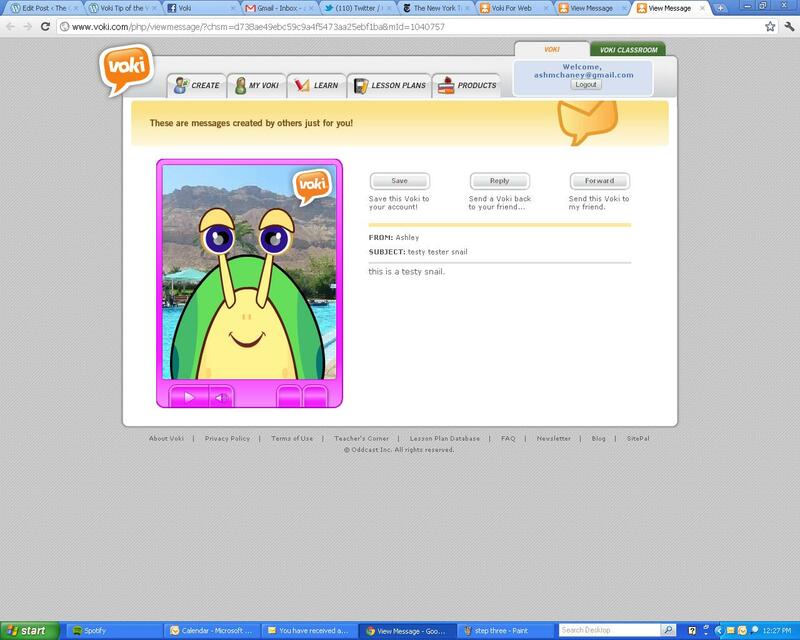 You can easily email a Voki to anyone using the Voki “Send to a Friend” option. Follow these simple steps and you will be able to correspond with people à la Voki. 1. 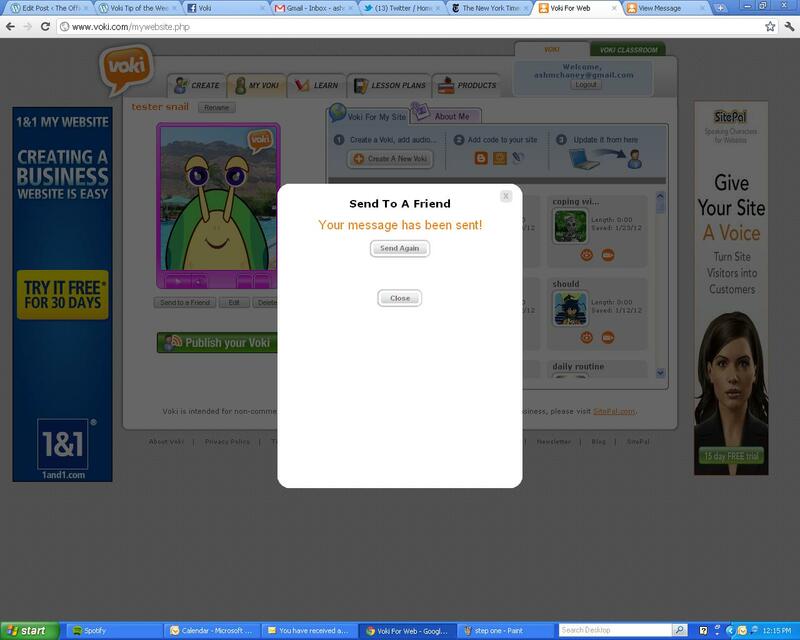 Once you have saved your Voki, click the “Send to a Friend” button (under the Voki preview). 2. Enter the email to which you want to send the Voki and hit “Enter.” You can repeat this step to add up to 5 email addresses. Tip: Make sure to enter an email Subject and a message. Tip: To make sure you or your recipients receive Voki messages, ask them to add notifications@voki.com to their safe senders list. When the email is opened, the recipient will be able to view your Voki and will also have the option to reply back with another Voki or forward it to someone else. They will also have the option of saving the Voki to their account. Tip: Since you can save an emailed Voki to your account, this is also a way to Copy a Voki (just email it to yourself!)! Have fun using Voki and sharing with your friends! We hope this clears up any confusion you may have had about how to send Voki through e-mail. If you have any questions about this process, leave a comment below and we will be happy to answer you! I followed your instructions and sent an email to my students presenting my avatar. However, they did not get any mail. Please make sure your students add “notifications@voki.com” to their safe senders list. This should ensure a complete Voki email delivery! I’ve sent a Voki to myself so that I could edit a copy of it, but I can’t change the name. I can click rename and change the name, but the submit button doesn’t work. We are currently working on solving that problem. Sorry for the inconvenience! I have done what you said, and I am still having trouble receiving to my email account. I just updated my Norton security. Could that be the problem? Sorry to hear that you are having problems receiving the emails. Emails may be sent to your Junk mail or Spam box, so you should check that first. 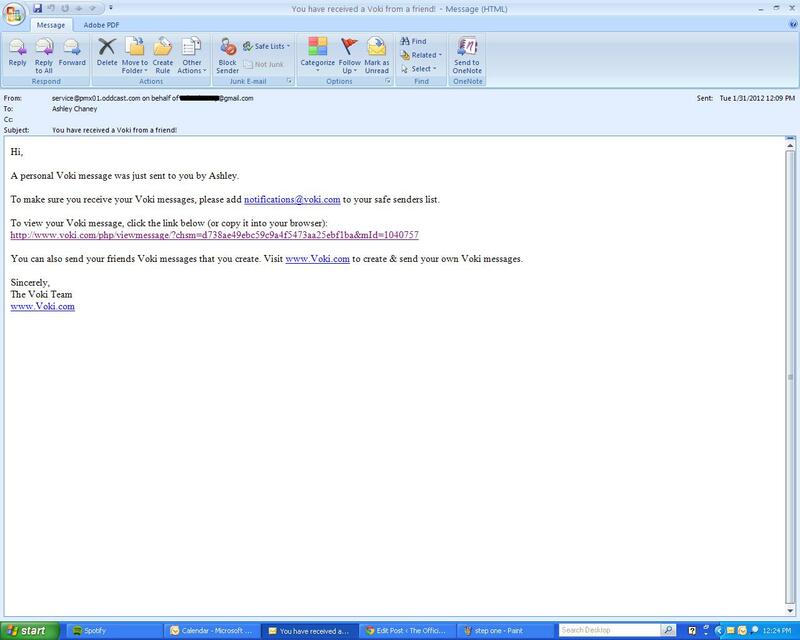 Norton Security have an email scan and/or email filter that can move them to the AntiSpam or Junk Folder. If that is the case, you can adjust this setting under the Email tab. If you are still having problems, please email us at feedback@voki.com. Nothing is in my Spam or Junk folder. Vokis aren’t even getting that far. I used this program last fall with no problems. My son and my husband can both receive the emails, but I can’t. I’m sorry for all the trouble. Please email support@voki.com and they will help you with this problem! I have checked the Junk and Spam folders but the Vokis aren’t in there. It’s odd, because last year I used Voki and had no problem receiving to my email. When I try sending to several recipients, including myself, I’m the only one who doesn’t get it. How do I share my Voki via text messaging?